Hands-up, I am a bone fide, paid-up member of the Powerline fan club. As a resident of Bath, getting a solid, reliable Wi-Fi signal from one end of my thick, stonewalled flat to the other is an exercise in futility. With a decent Powerline kit, though, I can plug my router directly into the wall and have a rock-solid connection from any electrical socket in any room. And I have a decent Powerline kit, and it's one of D-link's existing range of DHP-303 adaptors. It took no setting up, no feckin' about with IP addresses and security, nothing. Just plug and play like you're jamming an Ethernet cable straight into your router. 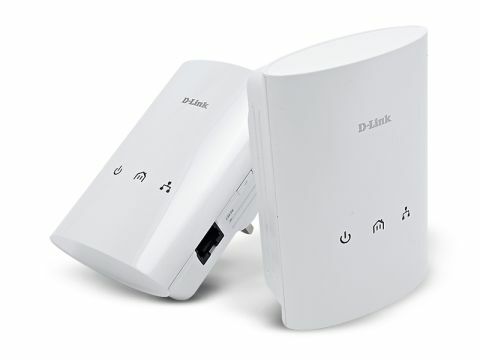 So what's different with the D-Link DHP-307AV Powerline Starter kit then? Well, it doesn't want to talk to any of the older kits. It is therefore a case of starting from scratch again… That's not necessarily a bad thing. The early kits were based on D-link's own standard, but thanks to the increased take-up of similar products the networking bods have got together and created a cross-vendor standard. So that means this kit isn't compatible with existing D-link adaptors but it will be compatible with its entire range going forward, and with other manufacturers' kits too. I would have preferred them to be pass-through adaptors so they didn't completely hog one full plug socket, but that aside it's a great kit. Anyone who's had problems with Wi-Fi around their home should jump on the Powerline bus as soon as possible.